Then we have the era that I want to talk about today. An era that gives me mixed feelings. The 1970s. 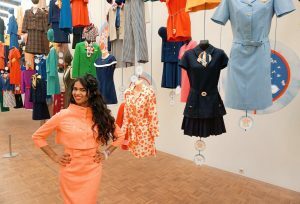 I blogged about The flower power 70s before. But this era deserved a men special. When it comes to flower power I’m in. For women that is. Men and flowers, not so much. (Of course they are always allowed to bring me flowers). 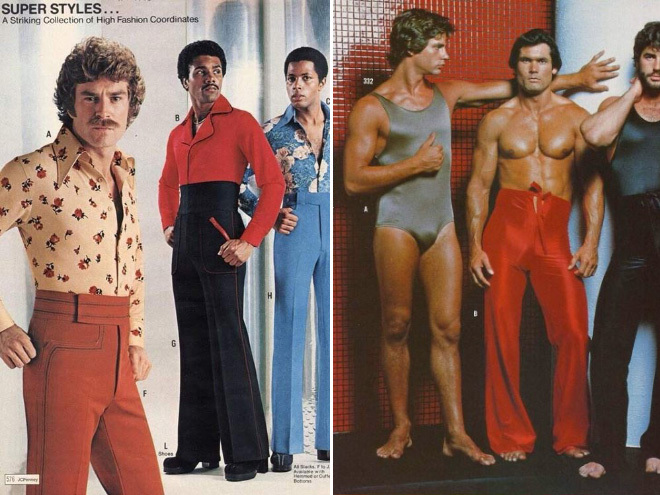 On contrary of nowadays sleek & chic and hipster men fashion, in the 70s it was all quite extravagant. And extravagant is an understatement. The vibrant colors are totally fine. Thumbs up for colorful fashion. But certain fashion trends… In a way these trends makes me think: what were they thinking? 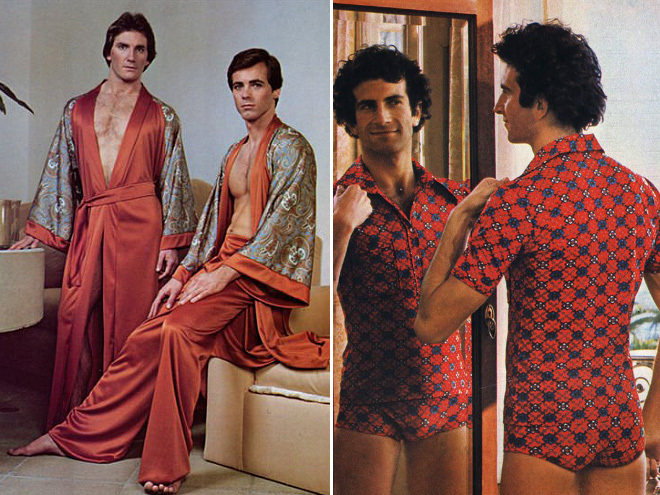 How did this become fashionable for men? I mean how often do you see a man in a jumpsuit these days? And I am not talking about Elvis look-a-likes. Or men in ponchos and last but not least: the body. As in: the onepiece underwear. No sixpacks to be seen here. 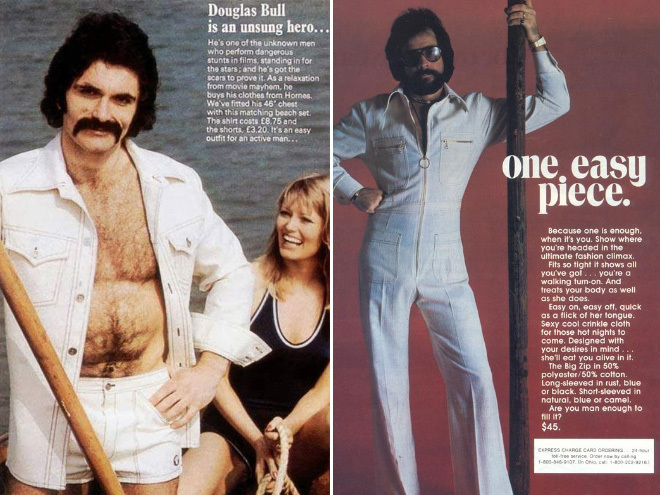 Although the 70s are not my most favorite era when it comes to (men’s) fashion, one way or another they definitely had guts back then. 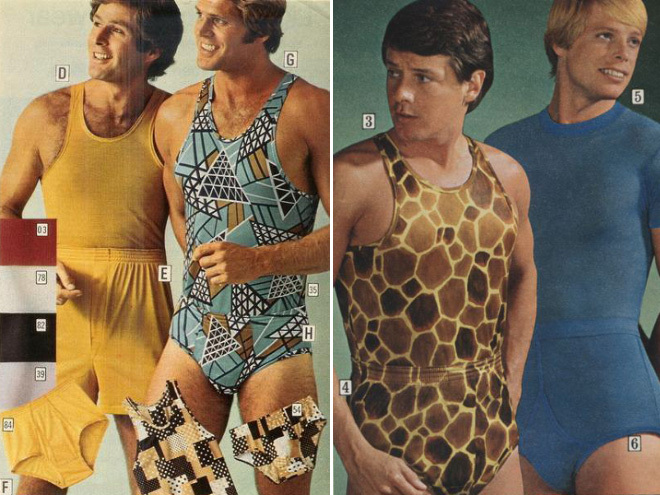 As you can see in the fashion ads below, anything was possible. Which shows how openminded the environment (and people in general) were when it comes to appearance. Although fashion trends of the old days always make a comeback, I highly doubt that these extravagant 70s trends will make a come back in the present man’s fashion world. On the other hand…expect the unexpected. You never know what might happen. 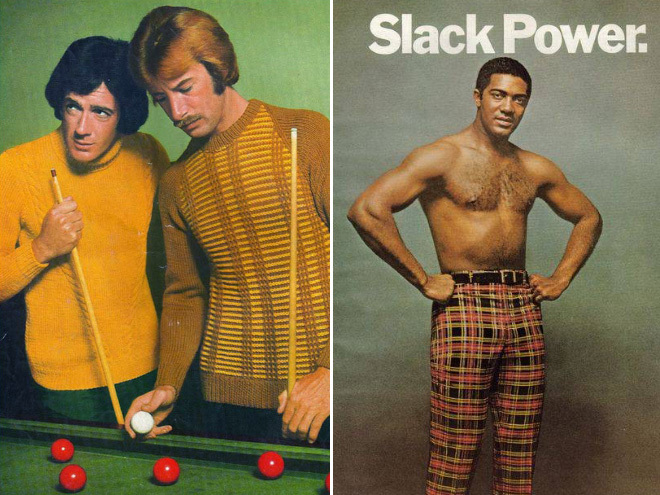 You tell me: What happened in the 70s, stays in the 70s or fashionable inspiration for a man’s wardrobe these days? 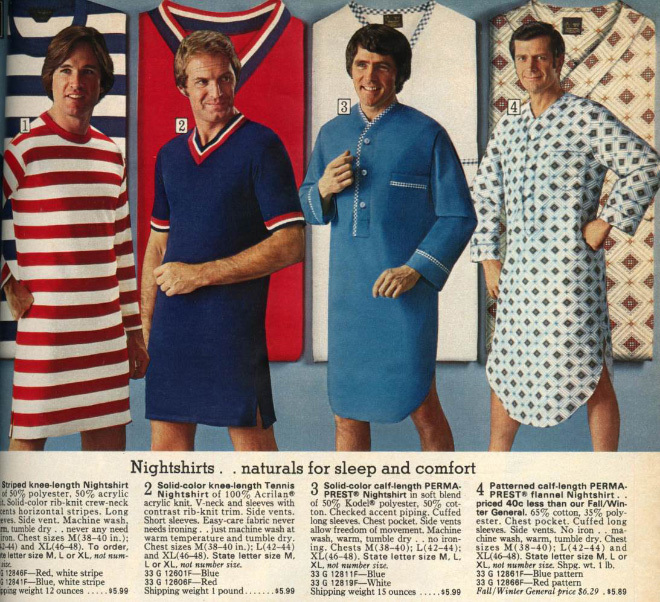 Remember the time when men wore long nightshirts? Me neither. One of the original types of men’s underwear. The body(suit). Kimonos? Why not. Oh and there we have the body(suit) again. 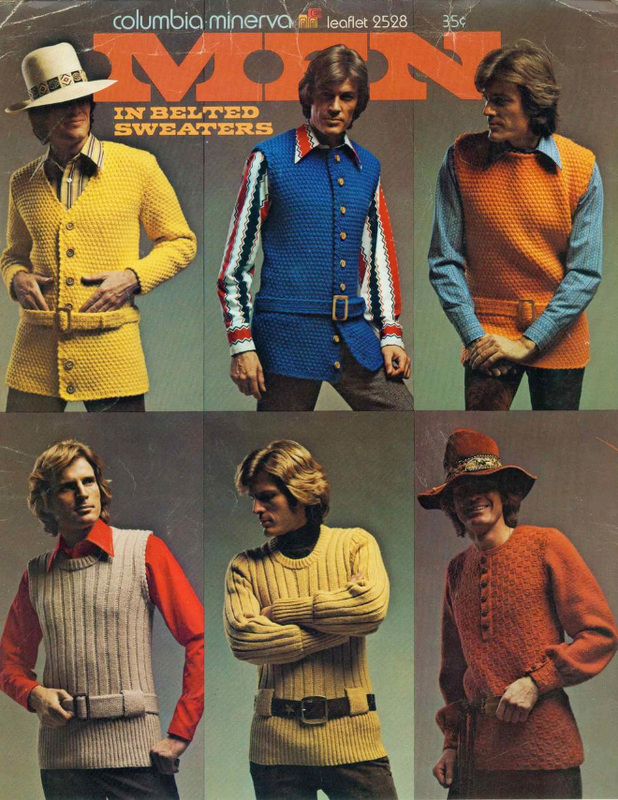 The stylish belted sweater could not be absent in a man’s wardrobe in the 70s. And last but not least: Yellowish fever and wild printed pants. Totally hipster (in the 70s). 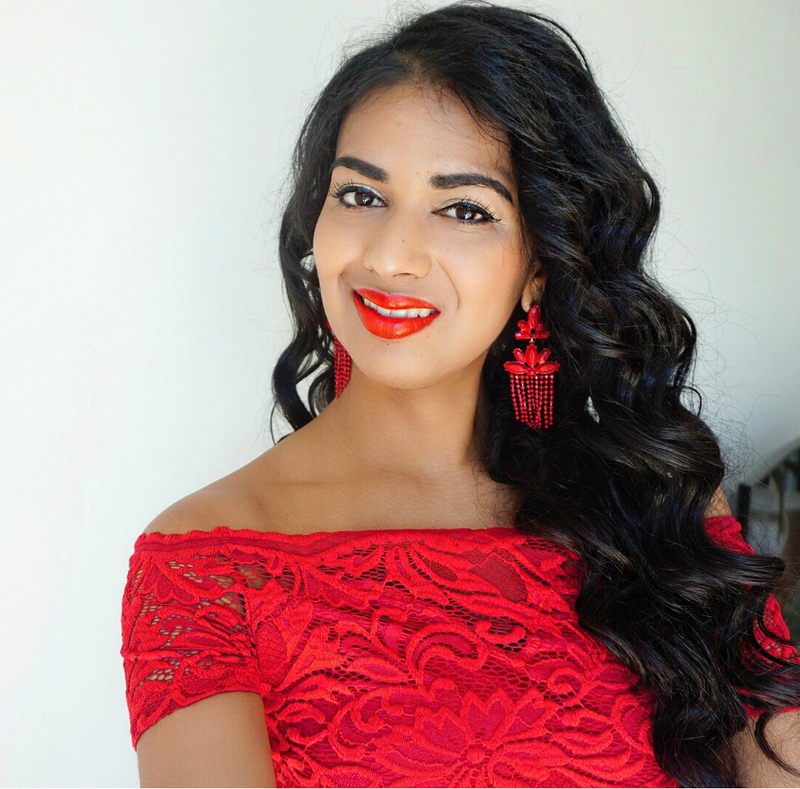 Karen just blogged about Let’s Talk: Hoeveel tijd kost bloggen?